H&H Air Conditioning & Heating has been the name you can trust for air conditioning repair and furnace repair in Kitchener, Oakville, and Richmond Hill. We also specialize in other services including installation and preventative maintenance plans for all your HVAC components. 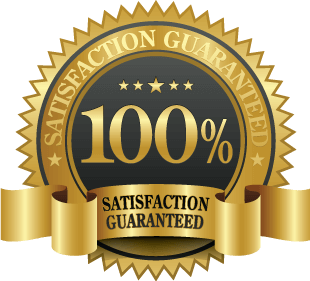 We are fully insured and licensed air conditioning and heating specialists totally dedicated to customer satisfaction and providing the highest quality HVAC services possible. Most importantly, we understand the need for a comfortable indoor living environment and our mission is to provide that. We pride ourselves on building customer trust and have a proven track record of quality workmanship and a reputation built on ethical business practices, honesty, and integrity. H&H Air Conditioning & Heating has years of combined experience and expertise in the HVAC industry and offer professional installation, preventative maintenance, and quality repair services in Oakville, Richmond Hill, and the surrounding areas. Professional installation – an HVAC system that isn’t professionally and properly installed will fail to work efficiently when providing the level of cooling and heating you desire. When you have our professional installation team on the job, you’ll have the experience and expertise required to get the job done right the first time. Not only will your system operate at maximum efficiency, professional installation services ensure that your cooling and heating system will have a long, healthy life. Preventative maintenance – just like with any other appliance in your home, the lack of proper care and preventative maintenance is the basis for breakdowns and cooling or heating system malfunctions. Preventative maintenance should be performed in spring prior to the air conditioning season and fall before the start of the heating season. Our customizable preventative maintenance plans can be tailored to meet the specific needs of your family and save money on repairs, replacement costs, and utility bills. Quality repairs – the H&H Air Conditioning & Heating repair technicians have been trained and certified in all facets of air conditioner repair and furnace repair as well as installation and preventative maintenance services. We can quickly diagnose the problem with your cooling or heating system and recommend the proper repair solution so that you can relax in indoor comfort once again. No matter how big or how small the job is, we are always prepared to get down to business when we arrive at your home. No matter how big, how old, or the type of architectural style your home is, we’ll keep you comfortable year round. Plus, we are available 24/7 in case your need emergency air conditioner repair or furnace repair in Oakville, Kitchener, or Richmond Hill. Searching for a reputable and trustworthy HVAC service provider can be considerably challenging and in some cases overwhelming. A simple Google search could yield hundreds of thousands of results. Let’s face it. Who has time for all that digging and research? The last thing you need is to hire a technician who lacks sufficient experience and the knowledge needed to repair your cooling or heating system. When you trust your HVAC installation, maintenance, and/or repair services to H&H Air Conditioning & Heating, you’ll have peace of mind knowing we’ll do the job right the first time. Excellent communication skills – one of the defining characteristics and qualities of our technicians is their communication skills and the ability to talk to the customer. They know how to explain why your HVAC system is malfunctioning in terms that you will easily understand. Plus, they can tell you what it takes to ensure that there are no further breakdowns or problems. Experience and expertise – HVAC service experts have become exactly that by putting in a lot of due diligence and hours working to gain the necessary experience and expertise required. We can easily identify the problem you are having and recommend the proper air conditioner repair or furnace repair solution to correct it. When it comes down to experience and expertise in the HVAC industry, there are simply no replacements for them. Honest work ethics – HVAC systems are oftentimes riddled with complexities, which is why some repairs can be very time-consuming. At times, it can be difficult to identify the problem. When this happens, you want to be assured that the technician working on your HVAC system has access to the proper resources so they can do the repairs correctly. Our technicians will always explain the how and why behind the problem with your system and will spend whatever time it takes to find the proper repair solution.